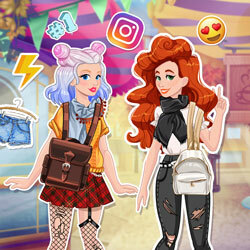 Description: Follow Jessie and Audrey on their adventure. Try to match their outfit of the day to a given style you'll choose! Take a selfie with the two BFFs, put some beautiful stickers and filters on the photo and get likes and followers on social media.